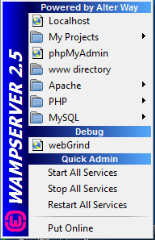 This post will teach about how to enable MongoDB extension in WampServer for PHP 5.5.12 version. If you have not installed MongoDB in your system you can check this post Installing MongoDB in Windows OS. List of things need to installed before enabling MongoDB in WampServer. If everything is installed, then we will download MongoDB driver from https://s3.amazonaws.com/drivers.mongodb.org/php/index.html for PHP 5.5.12 version now we have to download php_mongo-1.5.5.zip from the website. Once you have downloaded the .zip file exact and copy .dll into wamp\bin\php\php5.5.12\ext folder. 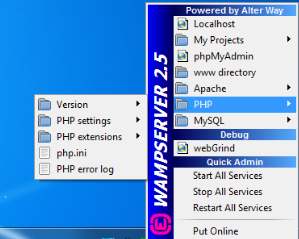 Restart your WampServer and enable php_mongo in PHP extension, after everything is done. Open the url http://localhost/?phpinfo=1 in your browser. If you are able to see same as the screenshot in your phpinfo, that means MongoDB extension is enabled in your WampServer.